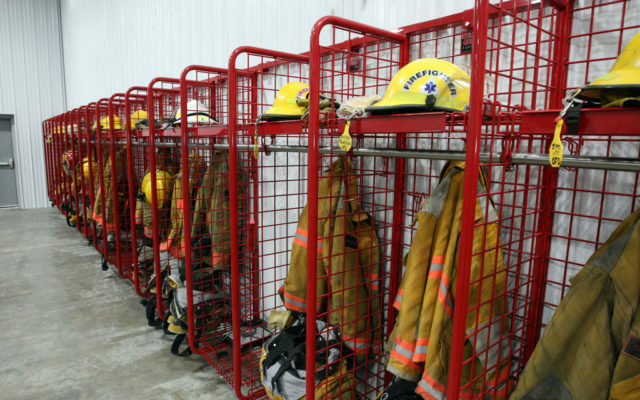 The town’s volunteer firefighters have a new home for their equipment and emergency vehicles now that the Oakfield Fire Station is nearly complete. 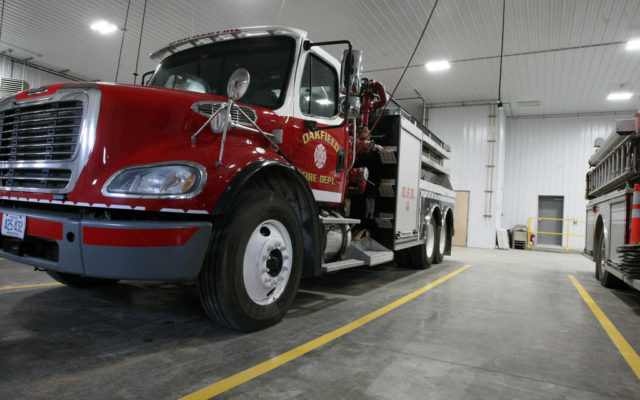 OAKFIELD, Maine — The town’s volunteer firefighters have a new home for their equipment and emergency vehicles now that the Oakfield Fire Station is nearly complete. At a special town meeting in Nov. 2, 2017, residents approved spending $1.3 million for the new fire station. However, Morris said the project actually came in about $160,000 under budget. The five bay building is roughly 7,152 square feet in size. The entirety of the project was funded from the town’s Tax Increment Finance account that was created following the construction of a wind farm in the community. No local tax dollars were used for the construction. Volunteer Fire Chief Zac Batchelder said his department was excited to get into the new building and spent many hours Saturday moving gear into their new home. The new facility has a conference room/kitchen area, which can also serve as an emergency shelter in the event of prolonged power outage or other environmental disaster thanks to a generator located on the premises. A 6,000 gallon water tank is located in the subfloor, which can be used to fill a tanker truck quickly in the winter. The floor also has radiant heat. “If we have a car fire or some other small event, we can use that water instead of having to go cut a hole in the ice to get water,” Batchelder said. 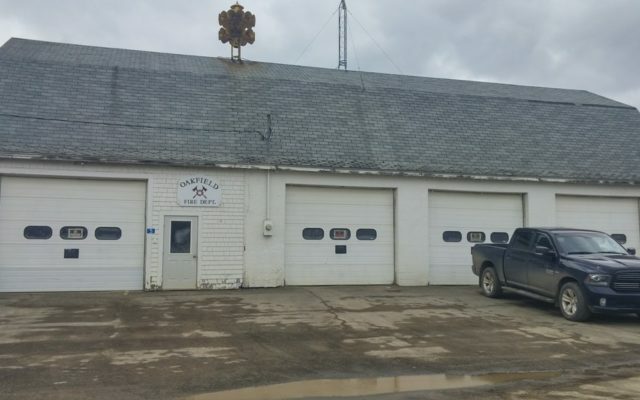 During Monday night’s annual town meeting, residents authorized spending up to $30,000 to demolish the old fire station. 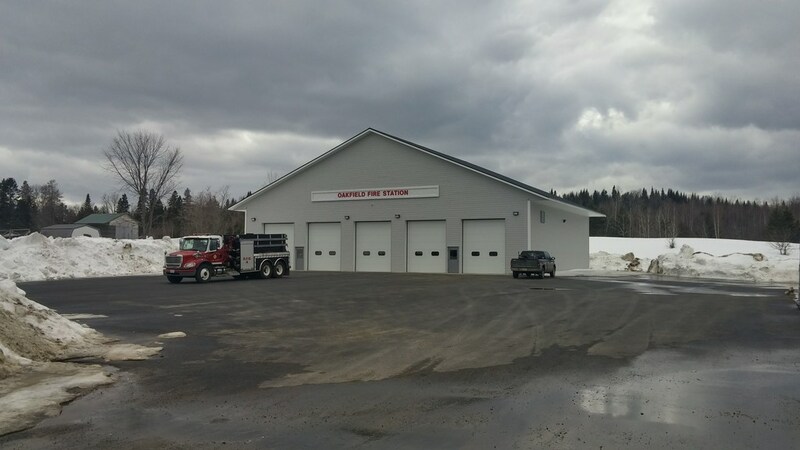 Selectman Anthony White said the plan was to create a spot for the fire department’s tanker truck to access the East Branch of the Mattawamkeag River for fillups. The demolition topic garnered a bit of discussion at Monday night’s town meeting, as some residents asked if the property could be sold. Morris explained that a portion of that building sits on land that the town does not own, making the sale of the building impossible. Its poor condition also does not make the building suitable for a fire training session. The old station was built in 1959 as a three bay building, with a fourth bay added some time in the 1980s. According to Morris, that building has met the end of its usable lifespan. 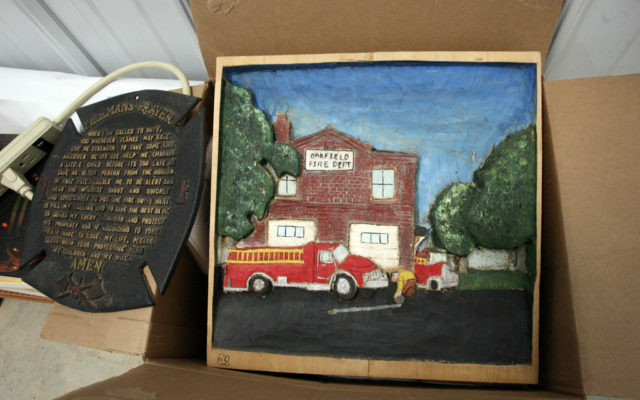 Residents also approved $13,750 to furnish the new fire station with office equipment, maintenance and kitchen items. Some items from the old building, like the air-raid horn located on the roof, will be salvaged and displayed at the new facility.